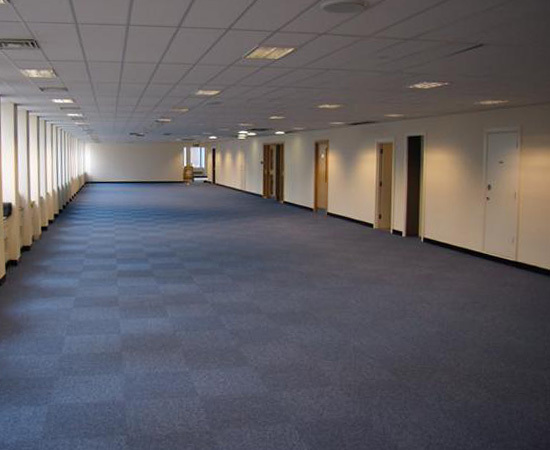 supply and fit a wide range of contract Vinyl, carpets, and contract carpet tiles to suit a large variety of site-specific requirements. Our professional carpet fitters are rigorously trained to ensure a high standard of craftsmanship is maintained throughout. 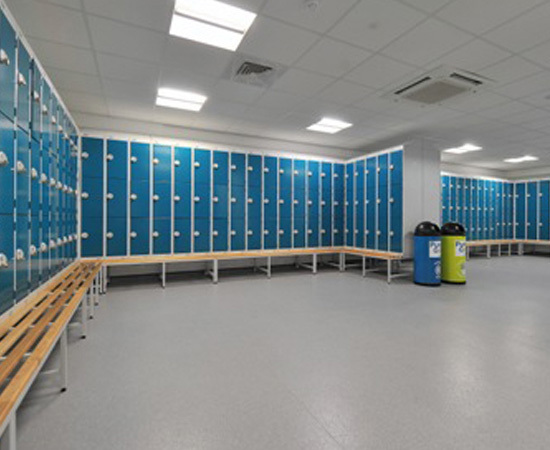 We have many years experience in the supply and installation of floor coverings for many different business sectors including, Local Authority, Health and Education Authorities, Ministry of Defence, Pharmaceutical and Food Industry, Dental and Doctors Surgeries. 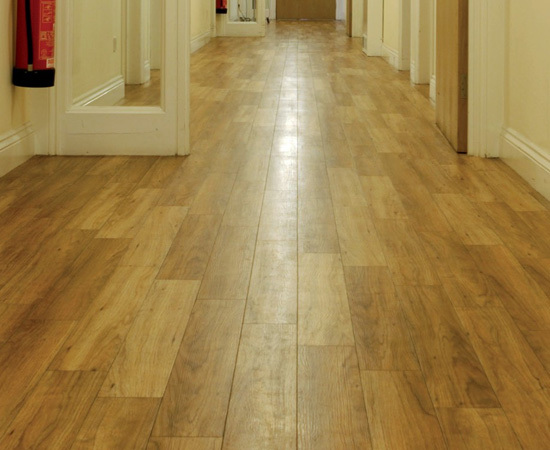 As one of the North West's leading suppliers and installers of safety / non-slip flooring we install the highest quality products from leading manufacturers such as Polyflor, Altro, Forbo, Gerflor, Tarkett. 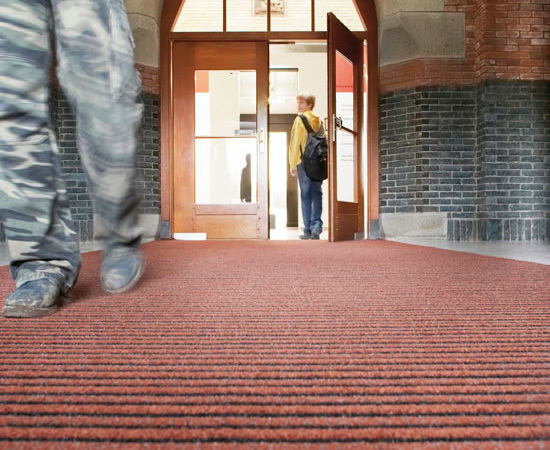 The rigours of every day working life demand high performance floor coverings that are in tune with a company's corporate image - whether it be a prestigious reception, boardrooms, stairwells, open plan offices, corridors, landings or shops. Rishton Floorcraft are able to tackle most problem floors for you! We have a reputation for offering a first rate, reliable and honest service. We give free estimates and specification service assisting our clients in deciding on the most suitable methods of floor preparation and appropriate floor finishes to suit their needs and budget. Good design and subsequent installation practices to receive flooring products or systems are essential for the success of the finished floor. Surface preparation is a vital part of any contract. Improper or inadequate preparation can cause premature failure of even the best flooring systems. We install all products available on the market, contract, commercial, carpet, vinyl, tiles, Karndean, Amtico, Polyflor, Polysafe Marley, Tarket, Altro, Decorative Floors, Burmatex, Gaskell, Interface, CFS, Heckmondwike, Gradus, Flotex, Threshold, Tufton, Heuga, Forbo Nairn, Duralay, Desso, Gerflor, Tessera, Laybond, Ardex, F Ball, Tremco, Quantum, Morleys, Armstrong, Coir matting.